home Lifestyle Selena Gomez & Hailey Baldwin Wore The Same Sweater, Who Wore It Better? Selena Gomez & Hailey Baldwin Wore The Same Sweater, Who Wore It Better? Justin Bieber's ex Selena Gomez and his current love partner Hailey Bieber wore identical Balenciaga Sweater less than a week apart. That awkward moment when your ex and your current girlfriend wears the same sweater. 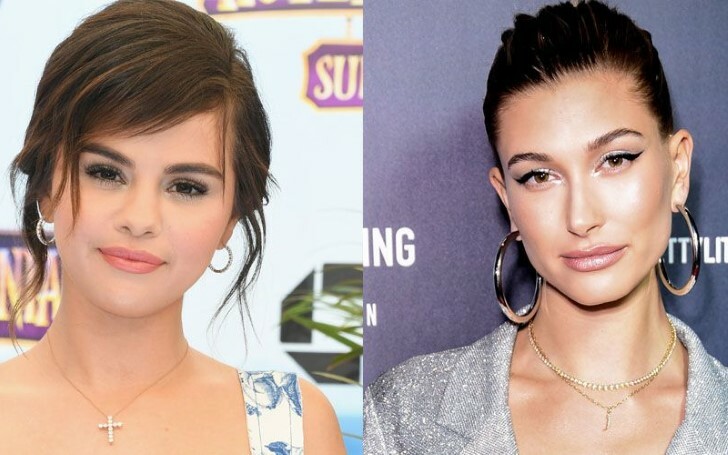 Reports are now stating that the singer and actress Selena Gomez and model Hailey Bieber shares the same preferences on their choices in clothes too, apart from the same preferences in men. Although the situation is merely a coincidence, both Selena and Hailey wore an almost same sweater by Balenciaga less than merely a week apart. Before people jumped into the conclusion of Who Wore It Better? both the stars rocked the sweater in their own styles. Selena, publicly seen after making her rare appearance during winter break with her friends, styled her turtleneck sweater that read the Balenciaga label in the middle. The 'Come & Get It' singer paired the sweater with faded black jeans along with stylish black shades and a pair of loafers. Gomez accessorized her look with a golden hoop earring and a black purse. The 26 years old singer spotted on 29th December in Beverly Hills last week styled her hair by loosely tying it with a middle partition. Whereas, Hailey who changed her last name to Bieber recently and her now-husband, pop singer Justin Bieber, kept their attires casual. Meanwhile, after only eight days Hailey is the second one who wore the similar Balenciaga sweater after Gomez. Mrs. Bieber used her Balenciaga sweater in a casual form. The 22 years old model wore her Balenciaga hoodie sweatshirt, also in the same gray colors to Gomez's with the brand's label printed on the front. Read: Are Asymmetrical Jeans The Next Big Denim Trend? Hailey who looked cute in the similar sweater completed her look by wearing a teddy jacket, dark plaid pants and white sneakers to match her husband's outfits. As a matter of fact, coincidentally again, Hailey also wore a similar hoop earring to Gomez. Nevertheless, Both Selena and Hailey looked stunning in their own ways. Also, FYI, Selena's gray turtleneck Balenciaga sweater costs an amount of $1050. Comparatively, Hailey's similar gray Balenciaga hoodie costs $850.